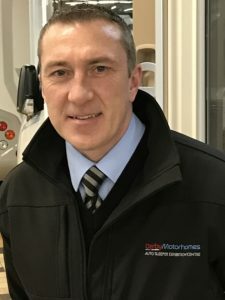 Yes, its changing times at Derby Motorhomes with the business growing so rapidly, it is no wonder that change is afoot. However, these are changes that will enhance the customer experience. In fact, due to the amazing response from our new motorhome special deals and our used special offers. Last year was an exceptional growth in our sales and after sales services. So, what we have been doing? In fact, the change of name and rebranding has pushed us even further forward. We know how Auto-Sleepers appeal to many different motorhome people. In addition, with more sales sees even more after sales services, for our many customers. So, with the coming of a new year, we have “rung-in” the changes in our dealership too. We have a change of process and a change of the faces that you will see in our service and aftersales department. 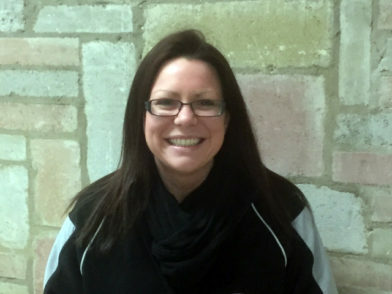 Firstly, there’s Hayley Elliott, promoted to become our Accounts and Aftersales Manager. Hayley is well known to our existing customers and loves a challenge. So, when it comes down to making things “tick”, Hayley is right there in the thick of things. Hayley is also joined by another face and name well known to our customers, Stuart Carter, who is also promoted and becomes Aftersales and Service manager. Stuart has a wealth of experience after working as our workshop manager for many years and is looking forward to this new personal challenge. Everything we do at Derby Motorhomes revolves around team-work and these new roles, some task’s shared jointly or overlapping, will enhance that teamwork ethic. Therefore, bringing huge benefits to both the smooth running and operations of the business. Improving, the department as a whole, for our new and old customers. Stuart and Hayley have already set themselves some pretty-high targets in improving our customer services and the customer experience. Providing improvements to the day to day management of the department. This will be a year of transition, constant improvements inline with the management changes. In addition, we are actively seeking to recruit more new team members to work in both sales and aftersales. For after sales we are looking for someone that will enhance and assist with our service reception and administrative duties. Also, someone to work more closely on the social media and marketing aspect of the business. Both, in after sales, and new and used sales promotions. Stuart Carter commented, “We are committing to improving every aspect of our after sales operations and customer experiences. In addition, to continue to carry out our handovers here, on site, in Derby. Assisting in the process with Daniel Cape, who everyone knows, is our expert in this field. Hayley and I are looking forward to welcoming old and new customers in 2018 and beyond”. Interested in the Changing Times at Derby Motorhomes? Send in your CV if you would like to be considered to join the team.